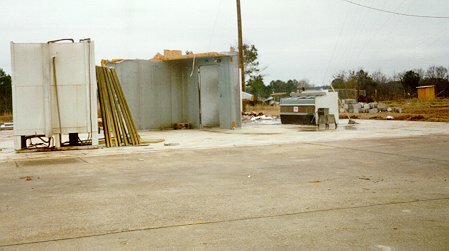 These two pictures are of Bolen's Store, a month later. The above picture was taken at about the same angle as the below picture (taken the afternoon of the storm). Note how little there is left. Above is another view from a month later. 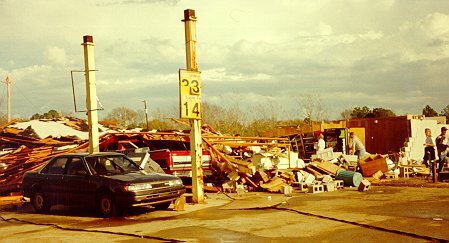 Compare the gas pump area above with the picture below (taken the afternoon of the storm).